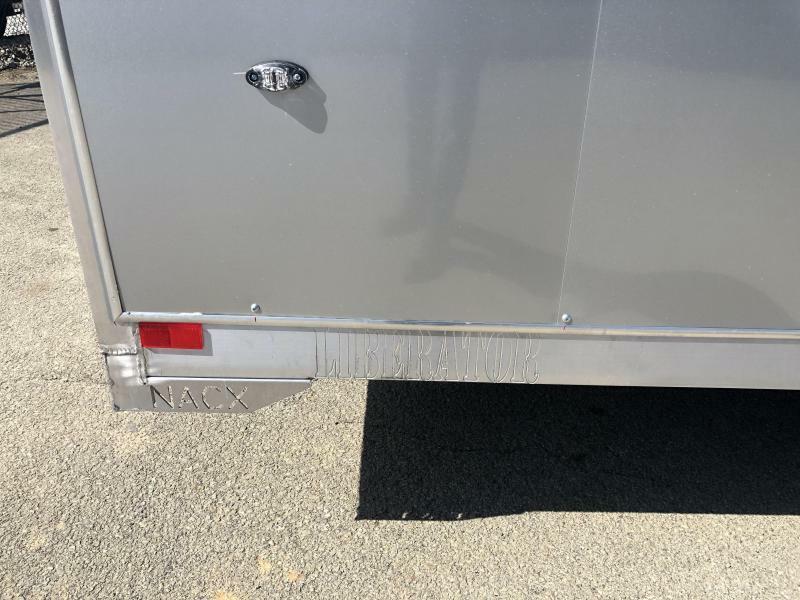 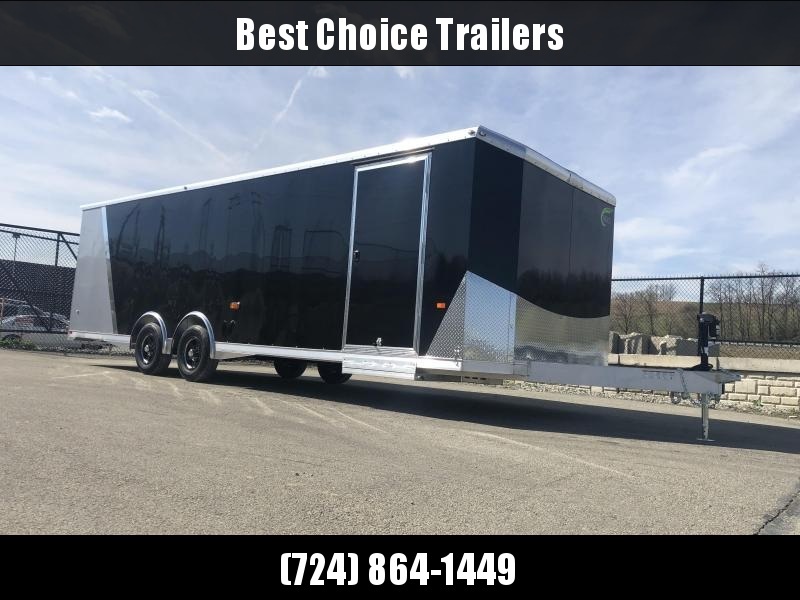 This is our nicest aluminum enclosed trailer we offer. 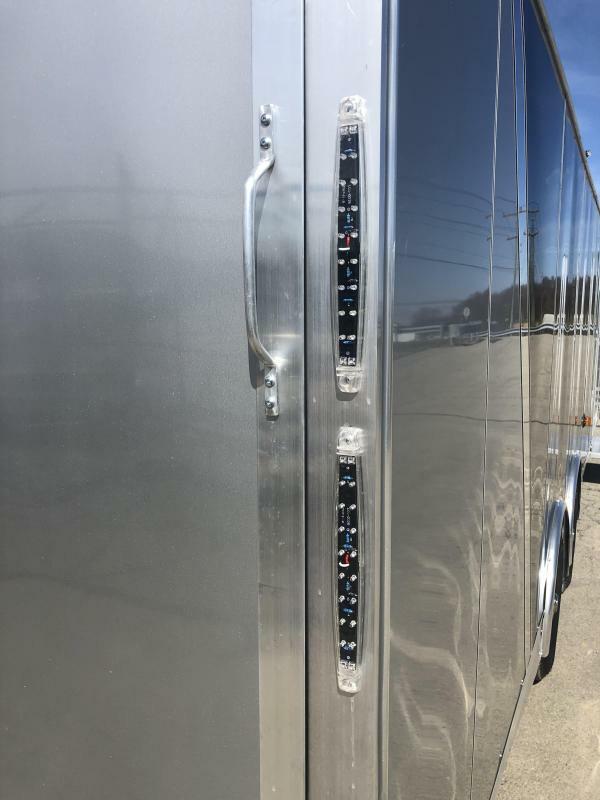 Top notch craftsmanship, lots of attention to detail, very nice welds...a real head turner. 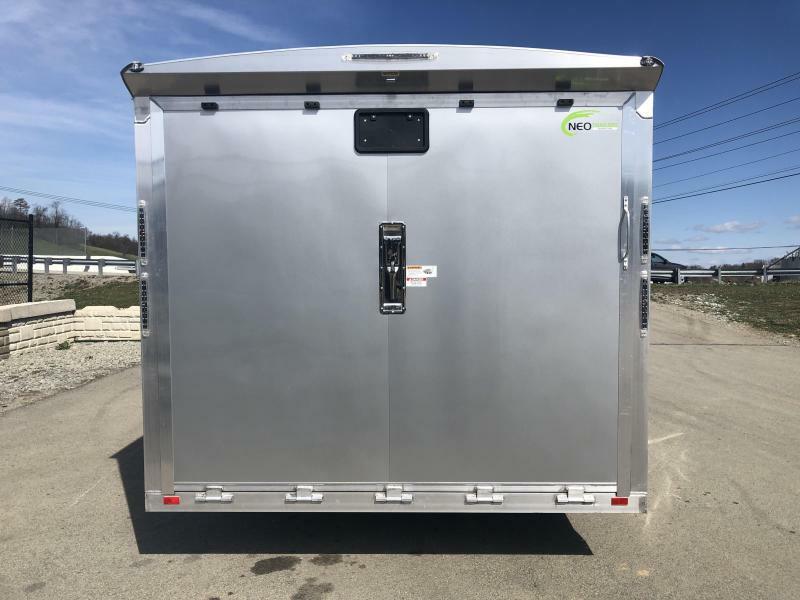 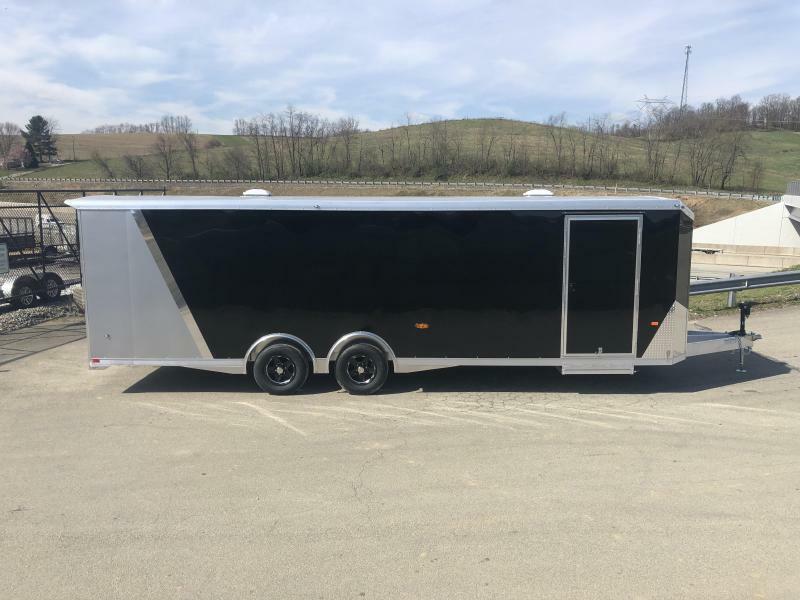 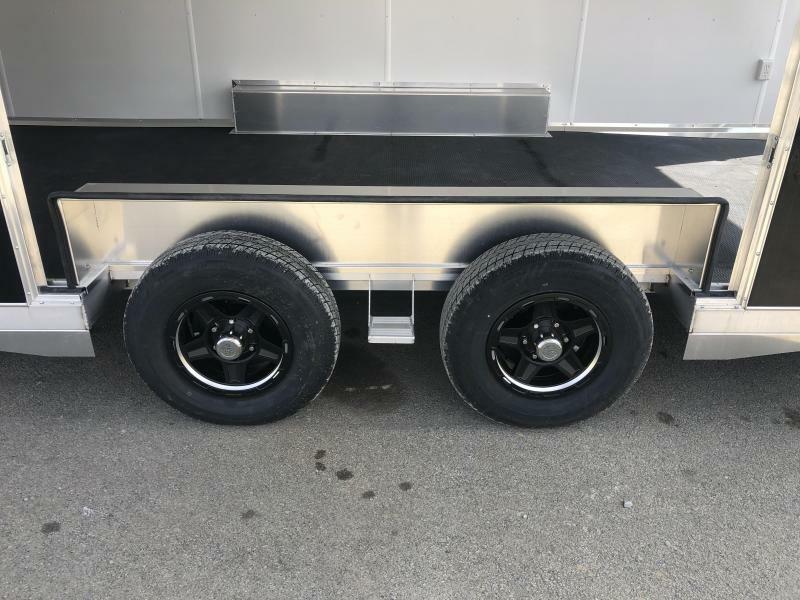 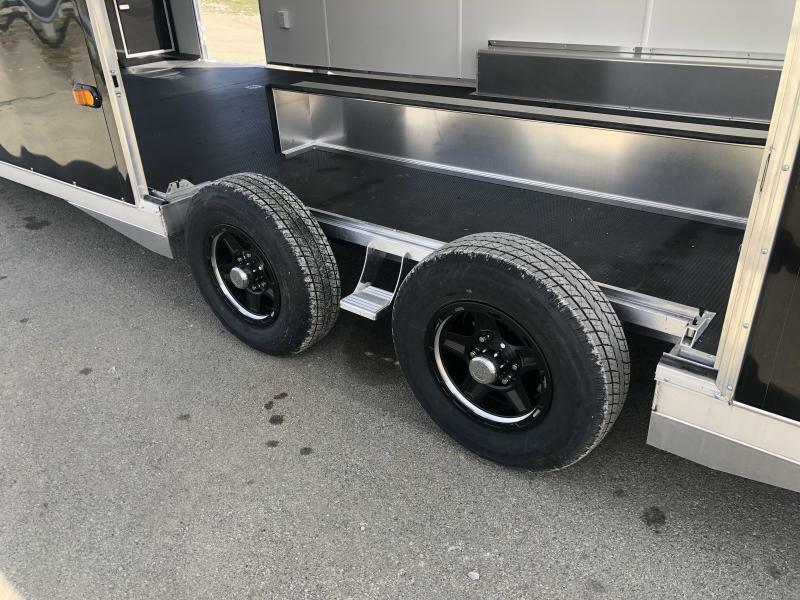 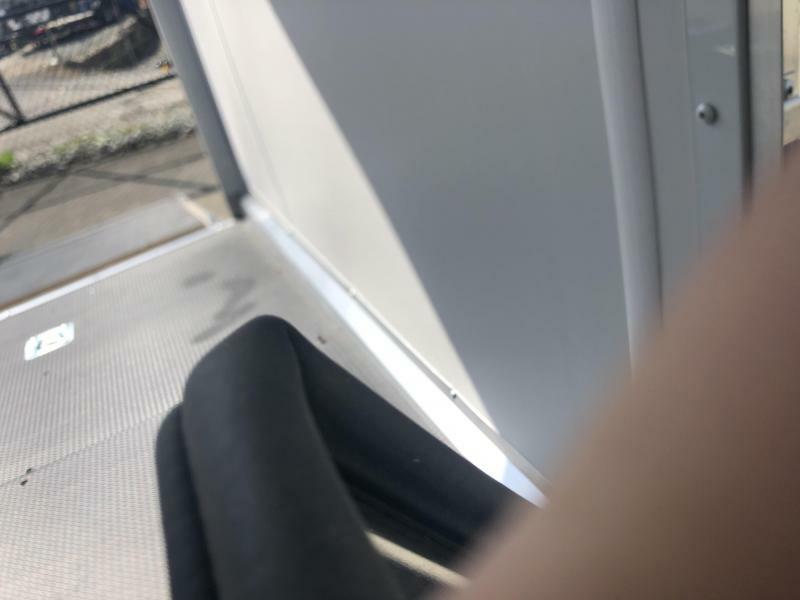 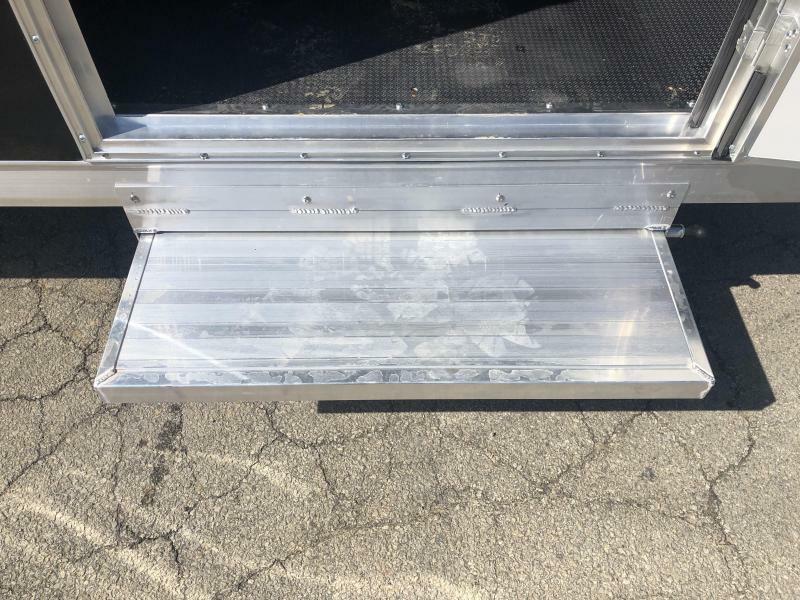 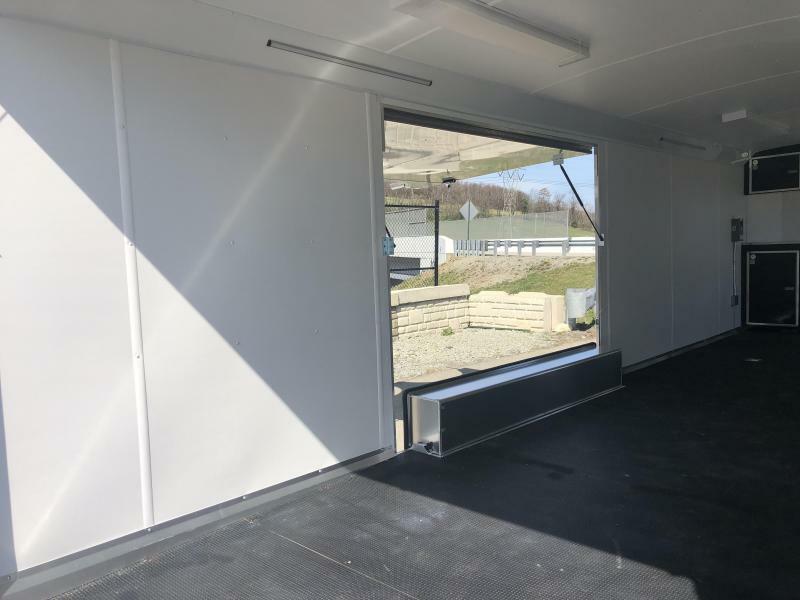 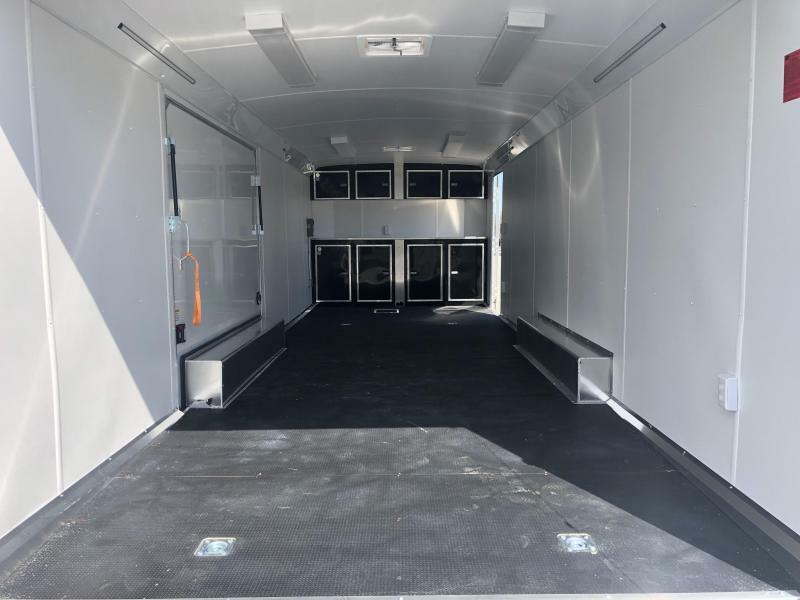 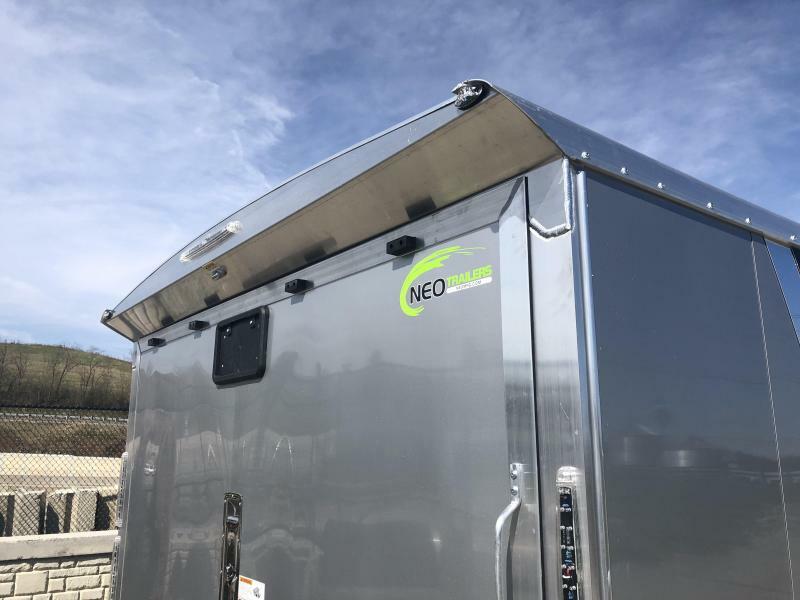 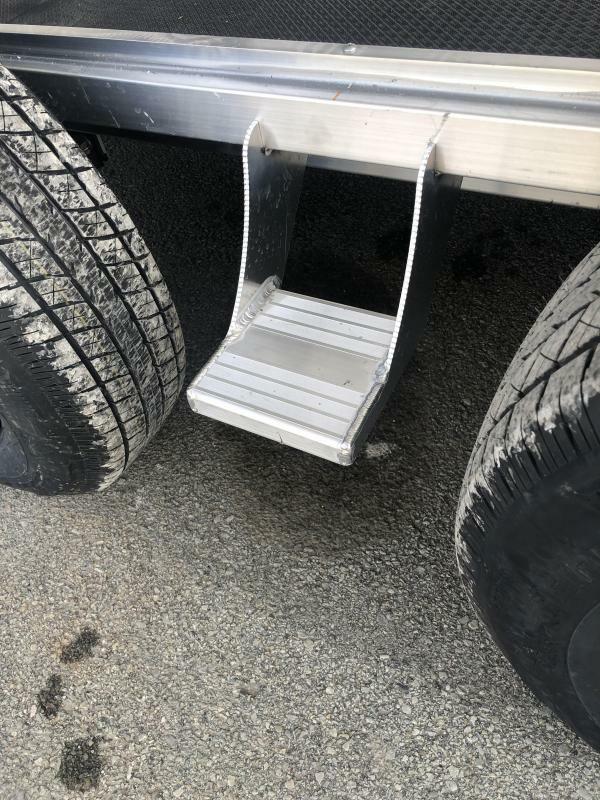 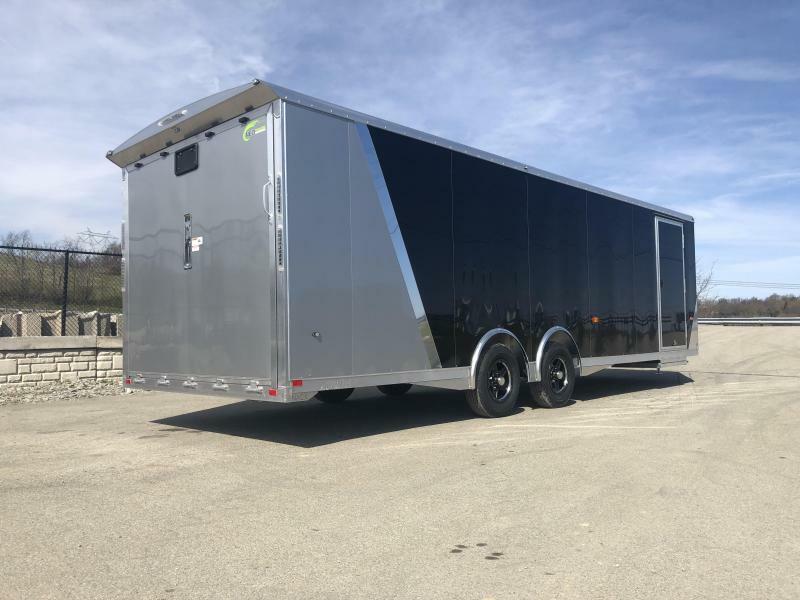 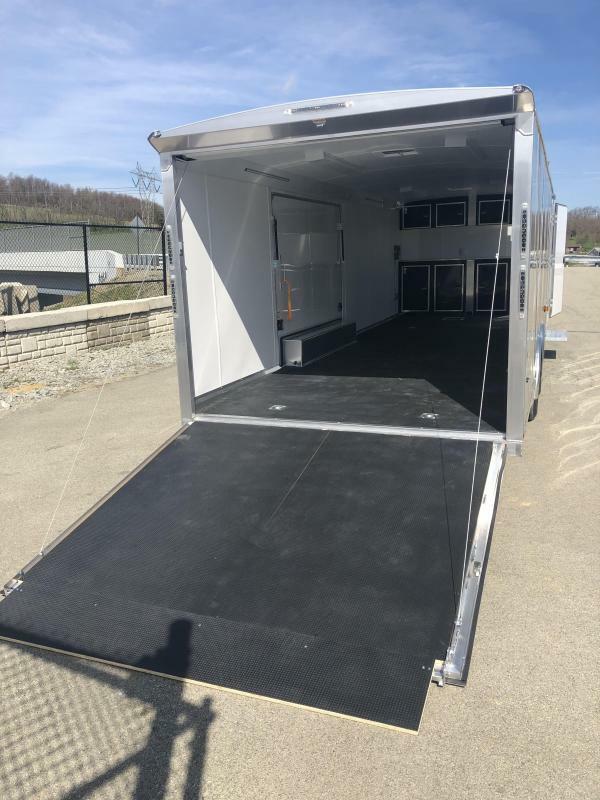 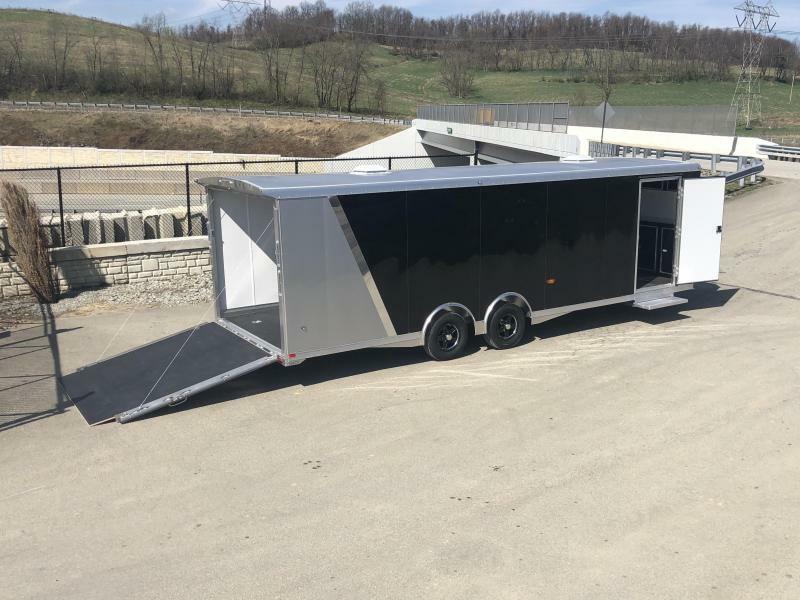 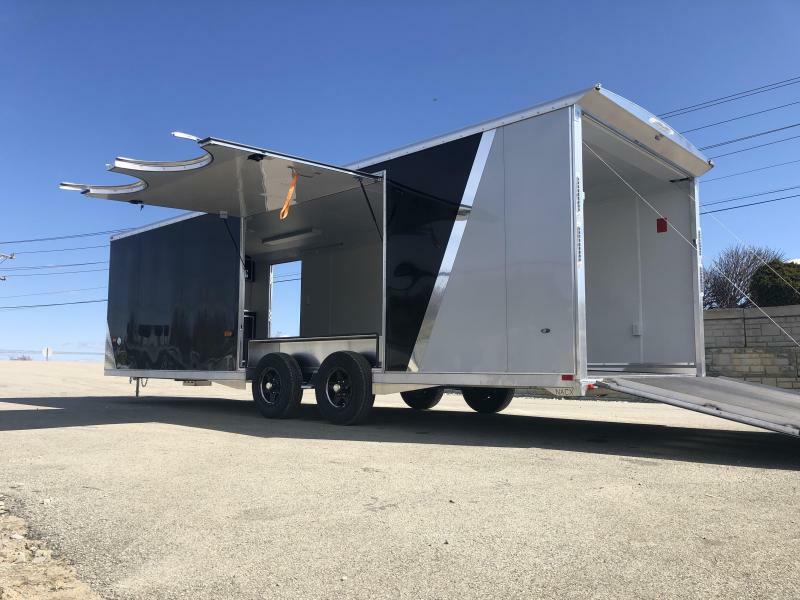 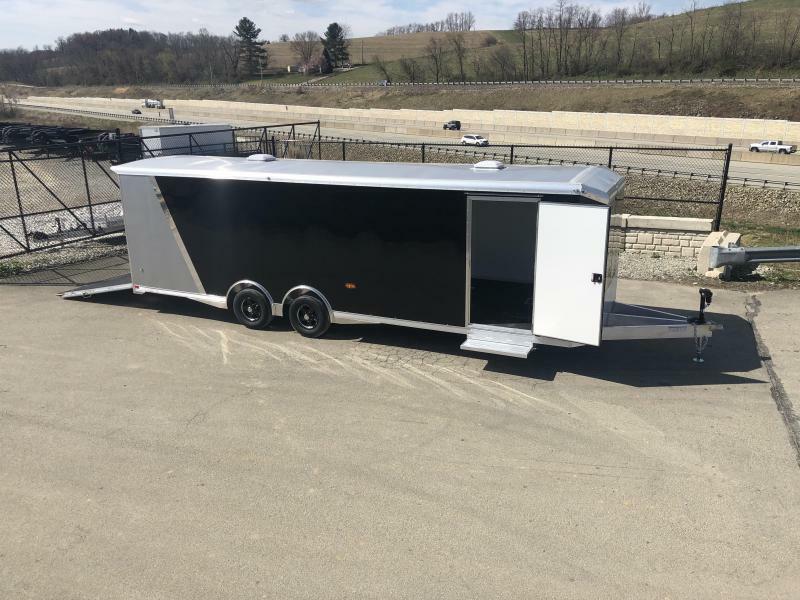 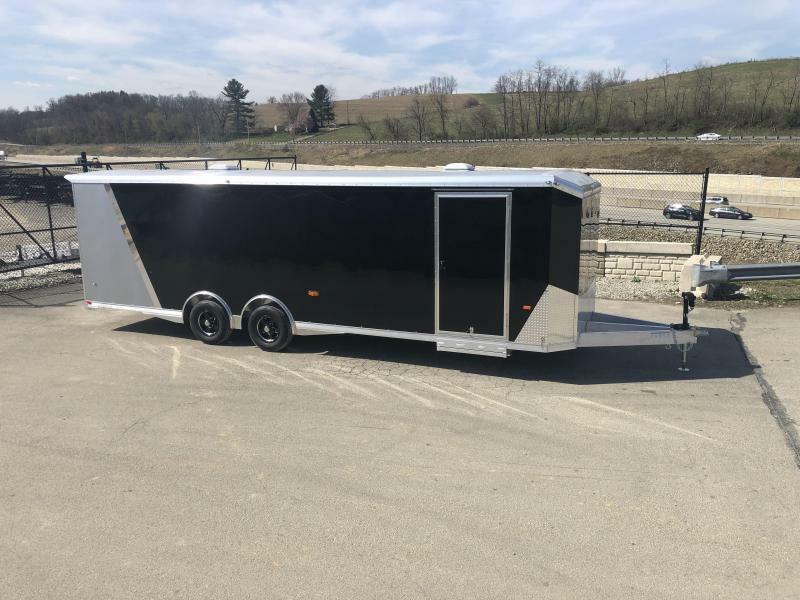 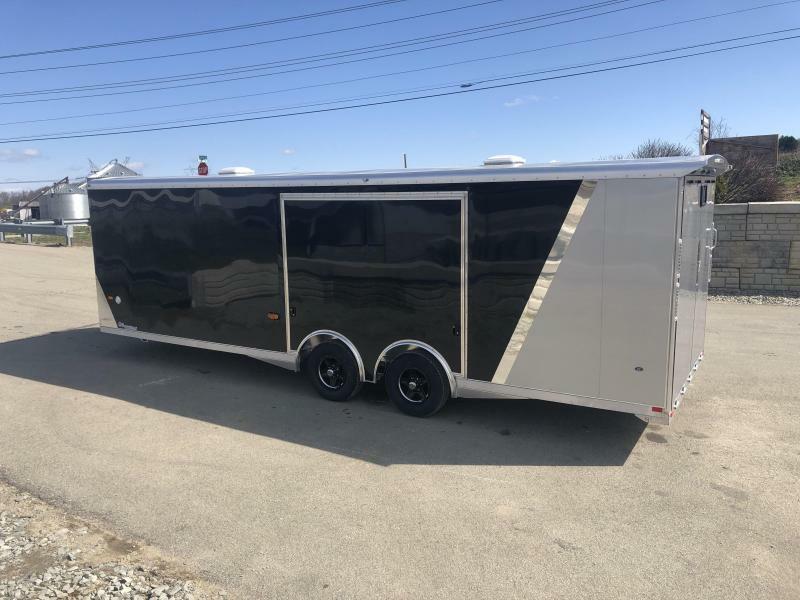 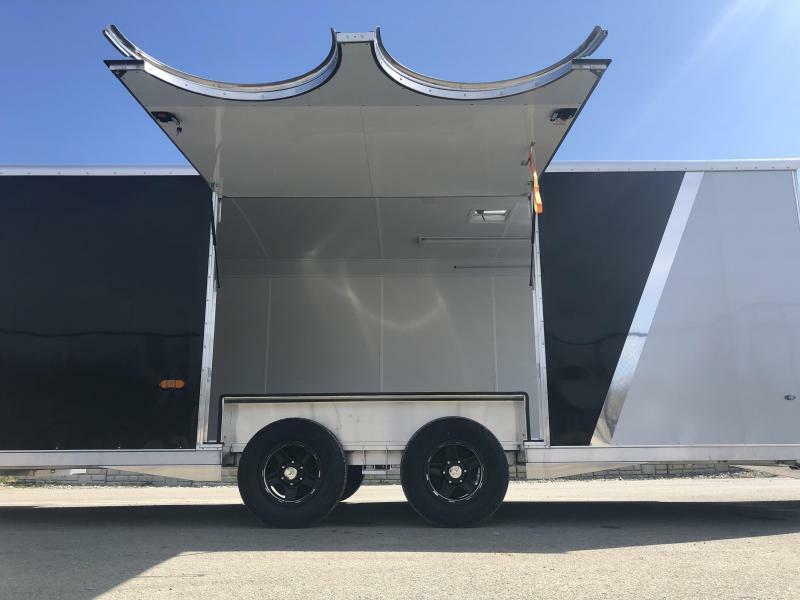 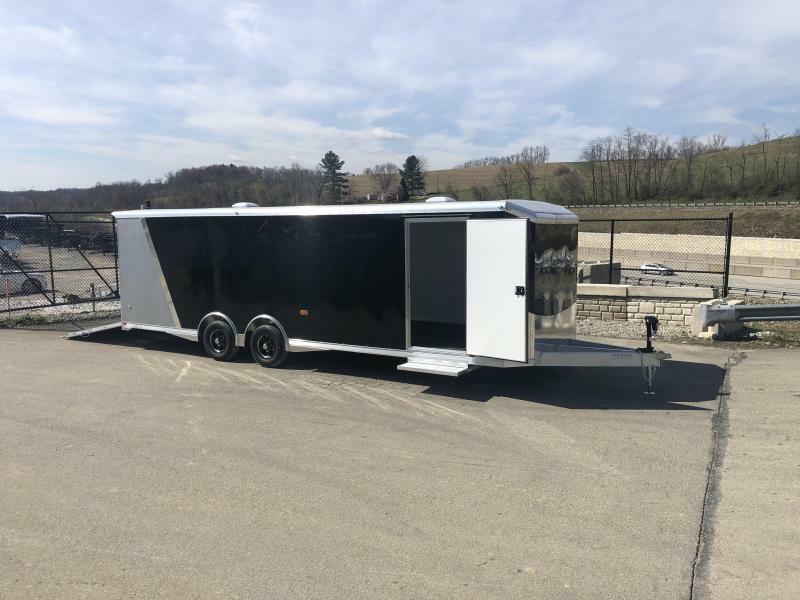 This unit is equipped with optional Nudo floor and ramp, 5200# torsion with aluminum wheels, spread axle, DRT rear spoiler, NXP ramp, and full size escape door w/ removable fender. 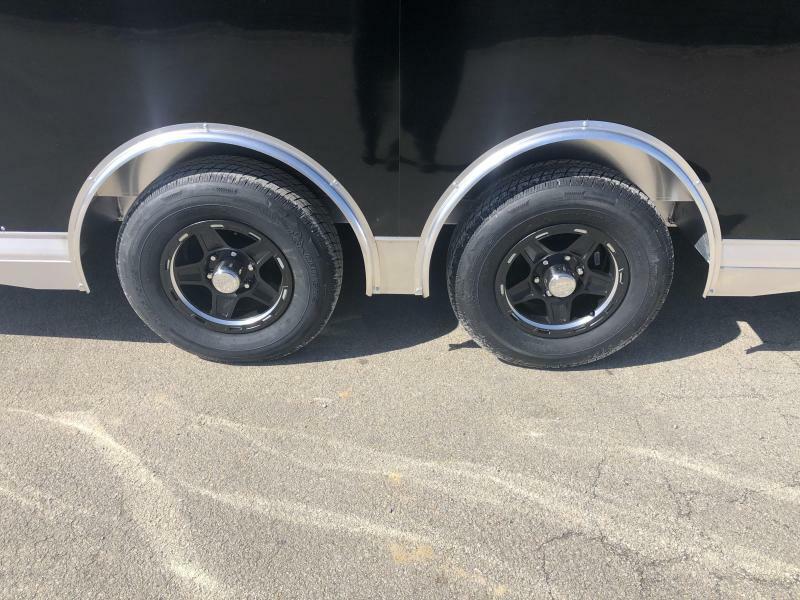 Also, your choice of any in stock aluminum wheel (we put on our favorite for photos). 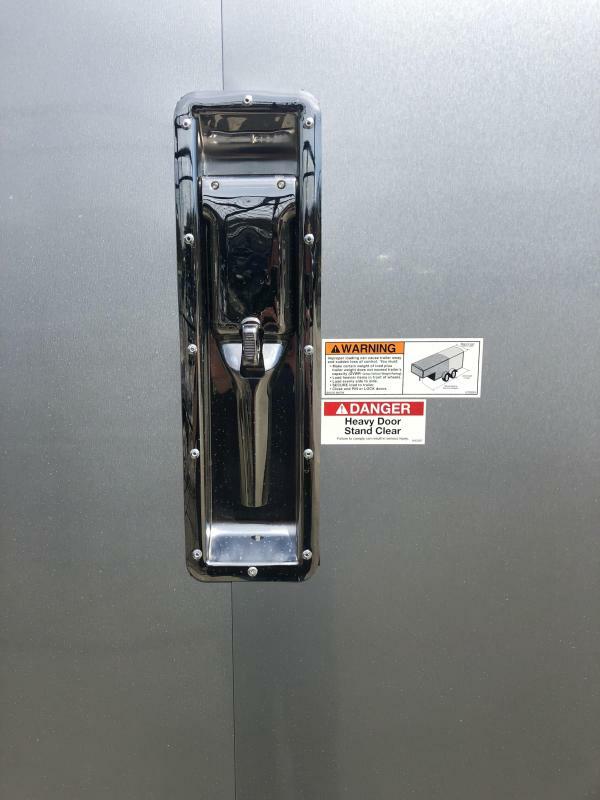 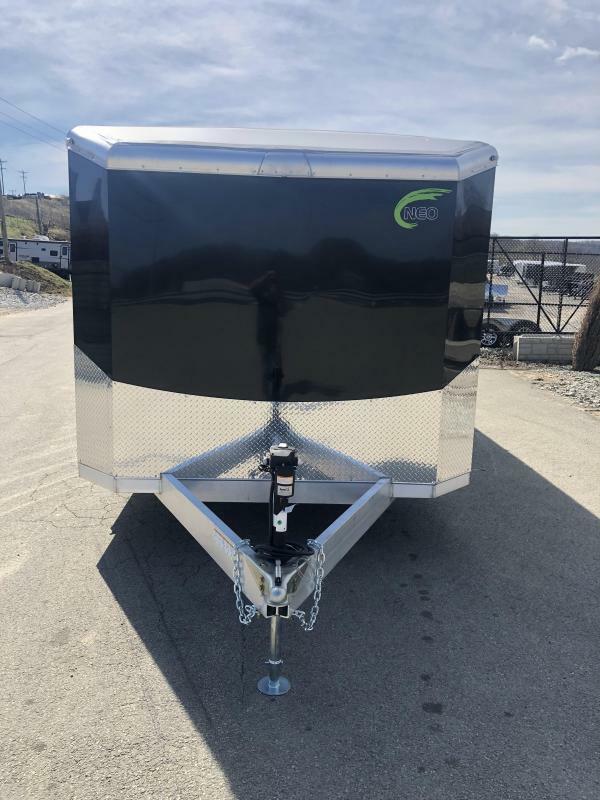 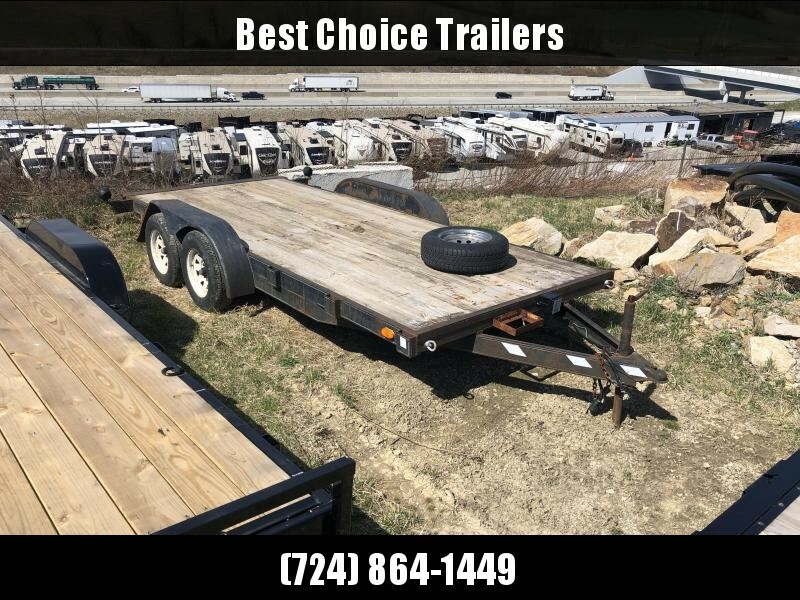 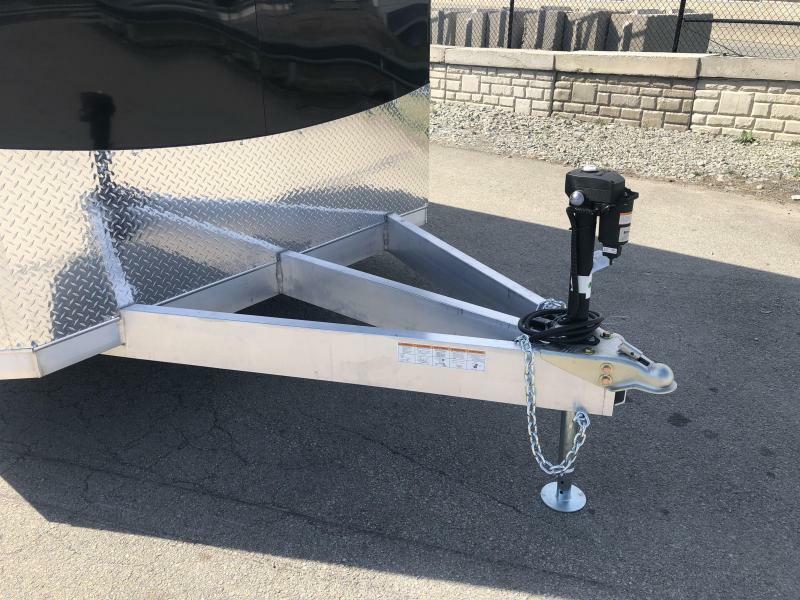 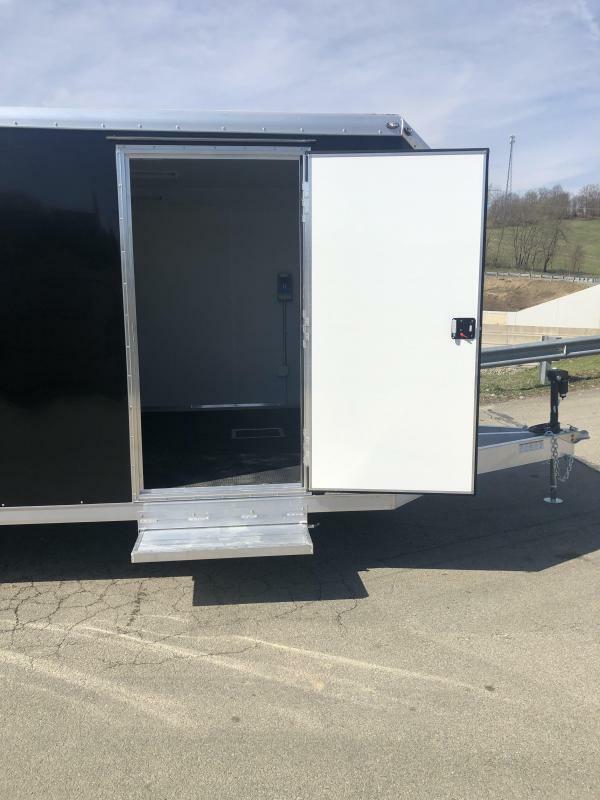 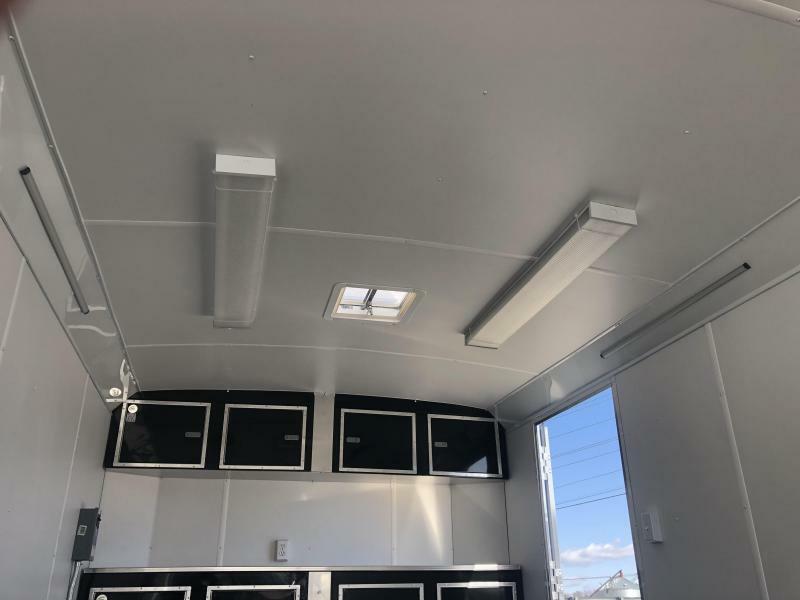 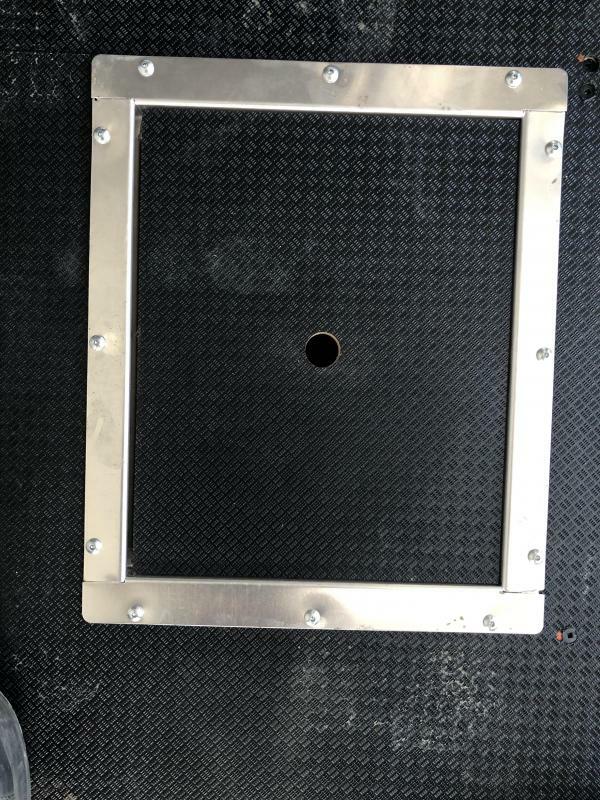 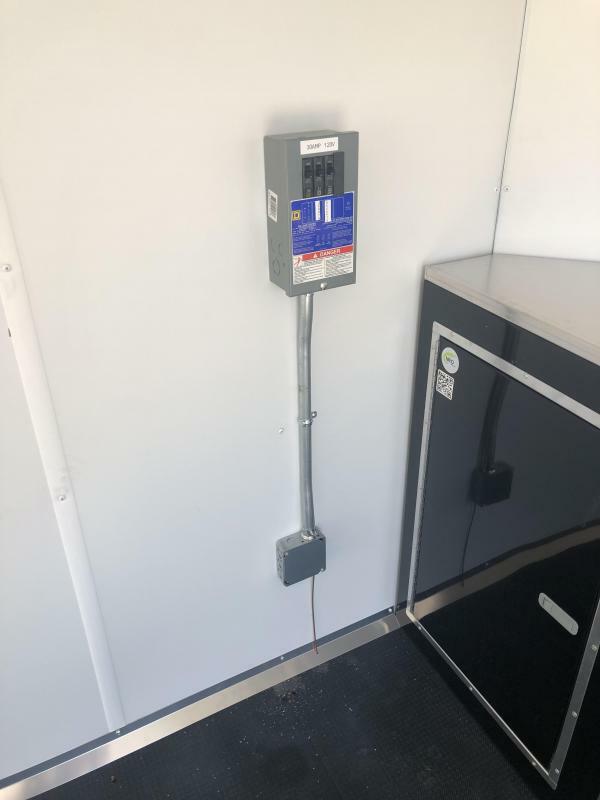 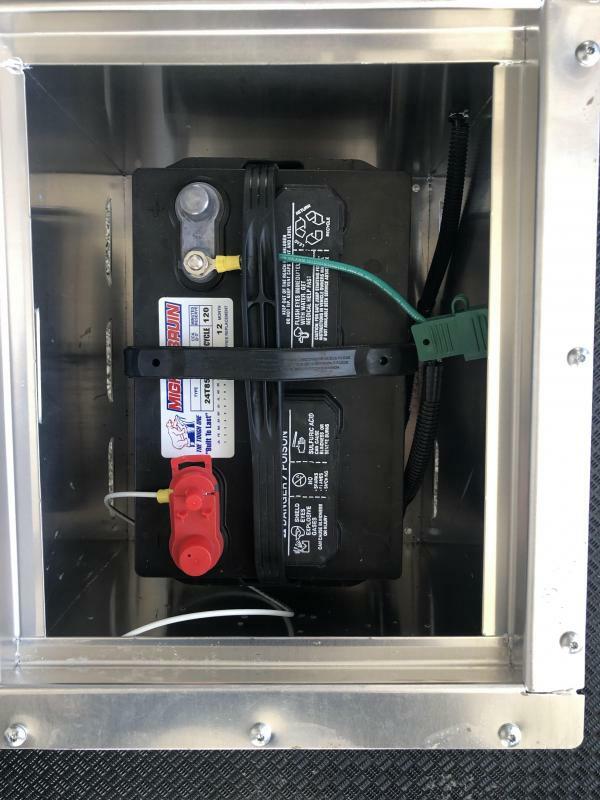 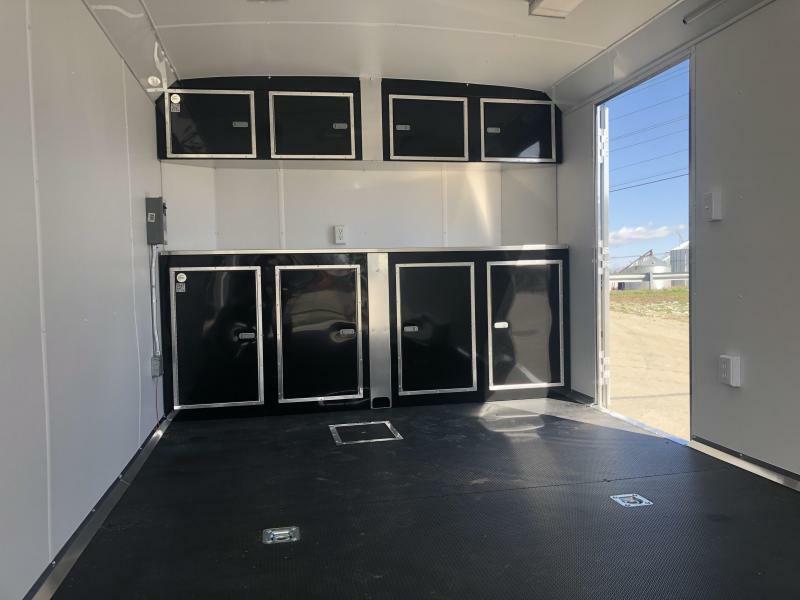 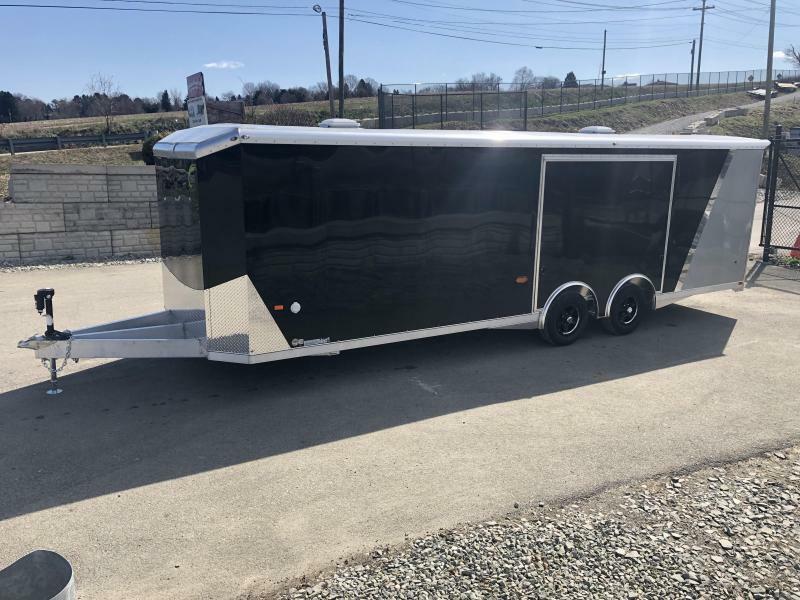 Also has black upper/lower cabinet, 110V pkg #2, 4-strip lights, extra tail lights, mid ships, 2 roof vents, slide out step, electric jack, 12V battery in floor, 2-tone exterior, accessory battery, ceiling liner, and more. 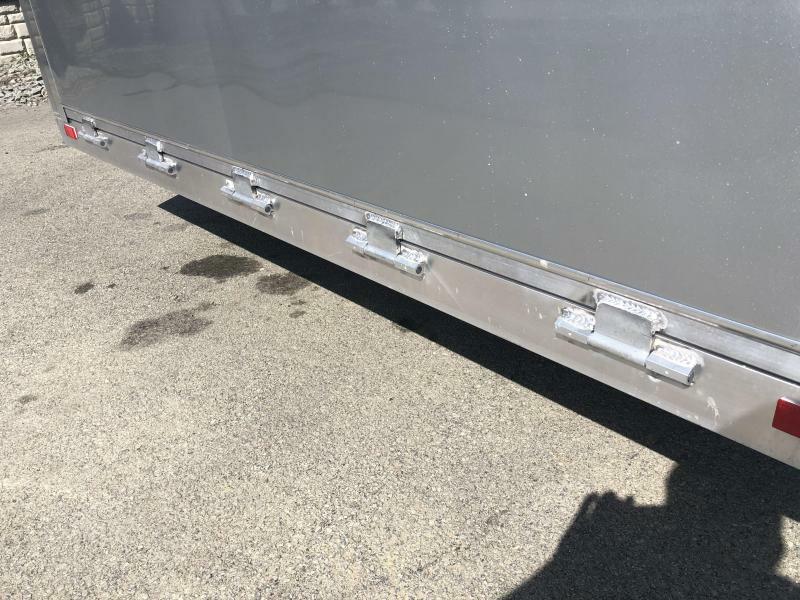 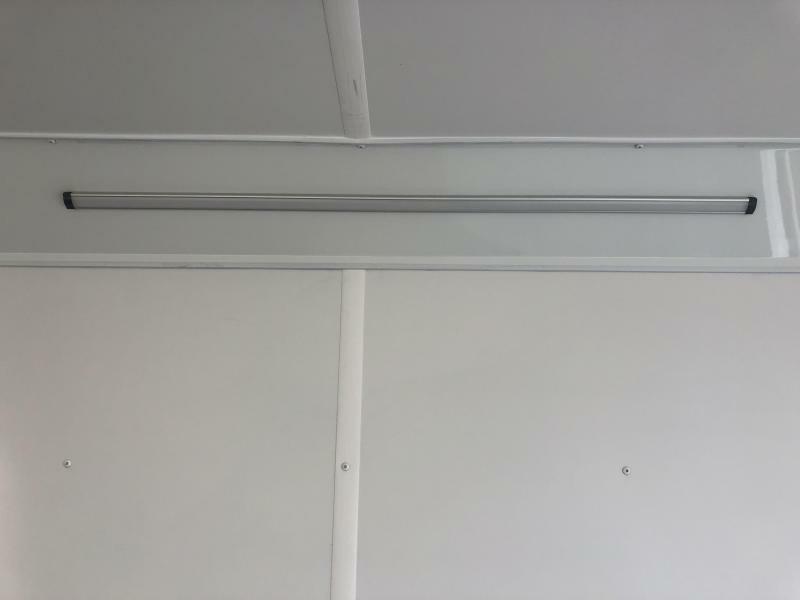 Integrated Triple Tube Tongue -60"
Flushlock Curbside Door - 36"